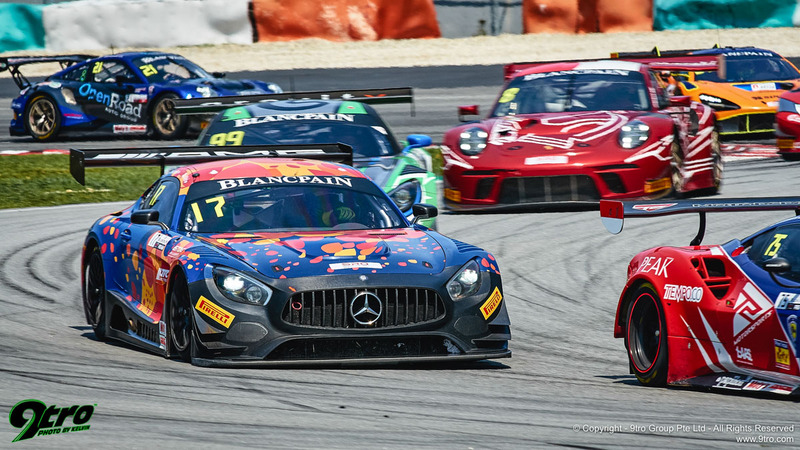 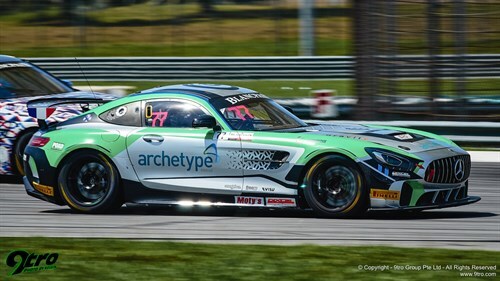 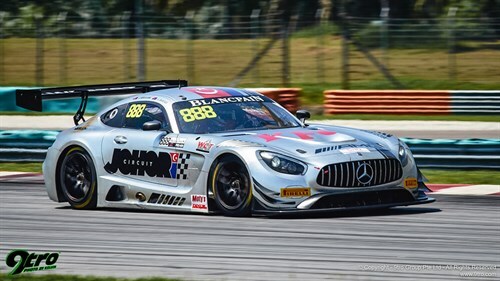 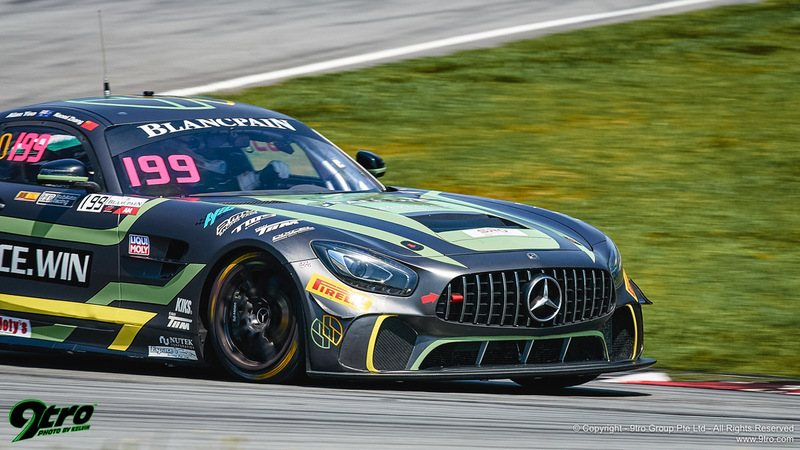 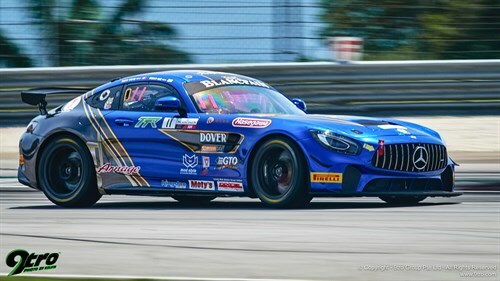 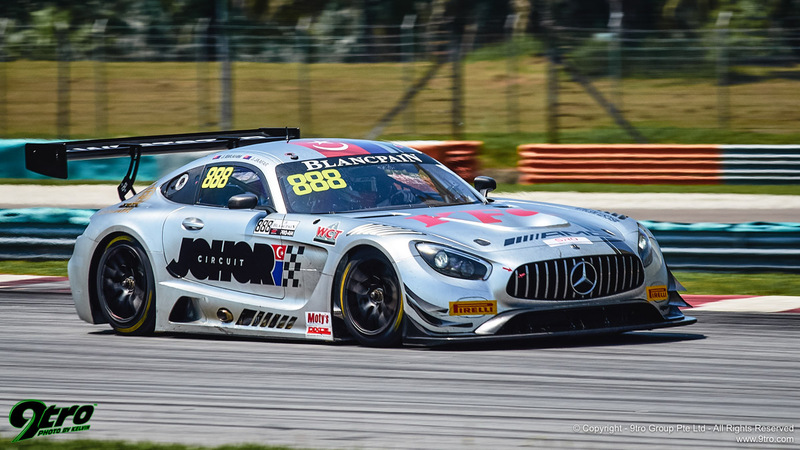 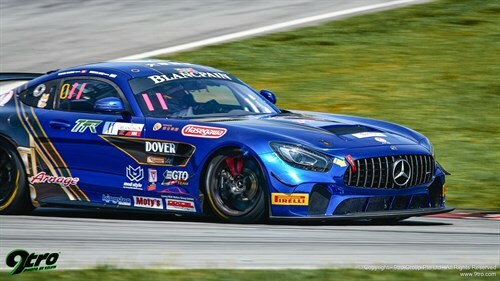 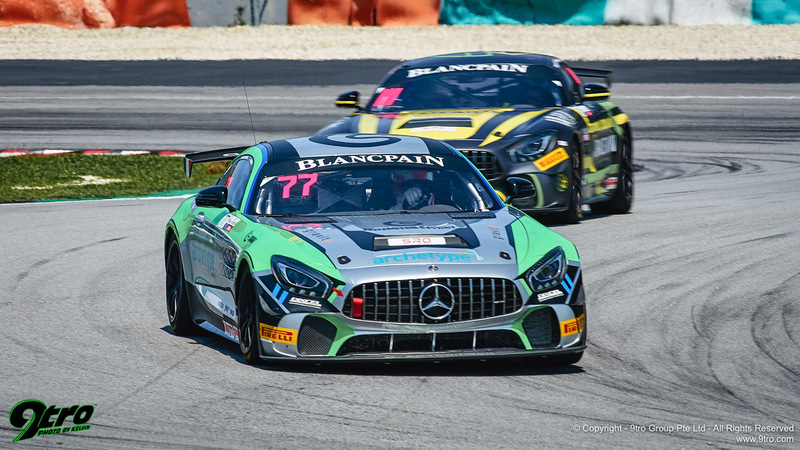 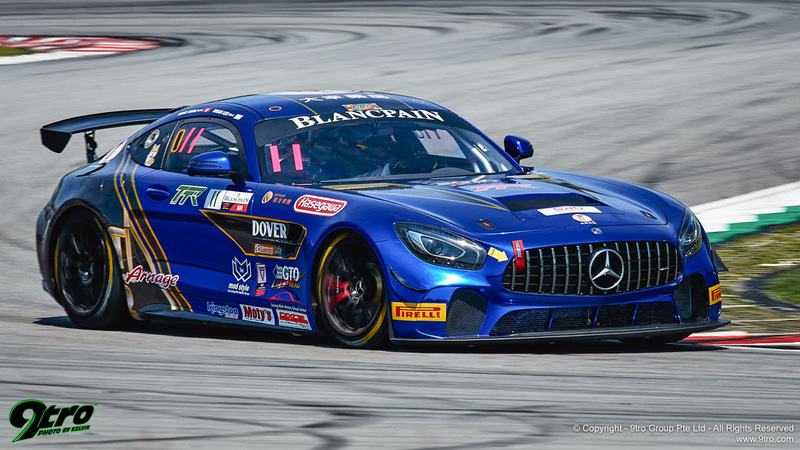 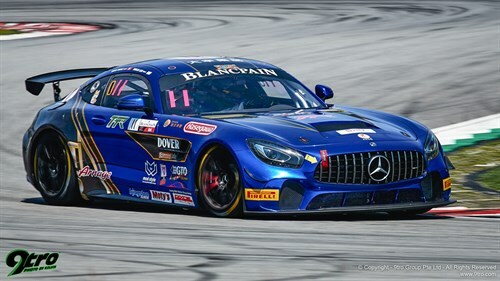 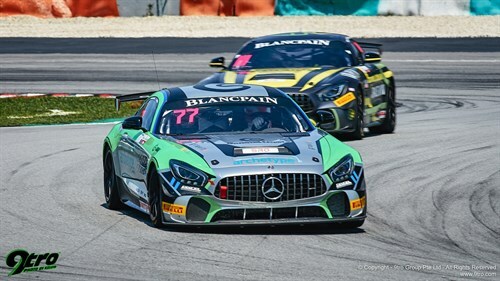 Mercedes-AMG finished one-two thanks to Solite Indigo Racing’s Silver Cup winners MG Choi and Gabriele Piana, while Yuya Sakamoto and David Russell completed the podium aboard their HubAuto Corsa Ferrari. 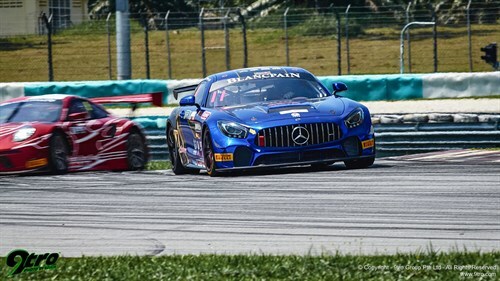 Thus the Belgian had 15 minutes with which to bridge his 10s deficit to Piana, and by the penultimate lap the two Mercedes-AMGs were together. 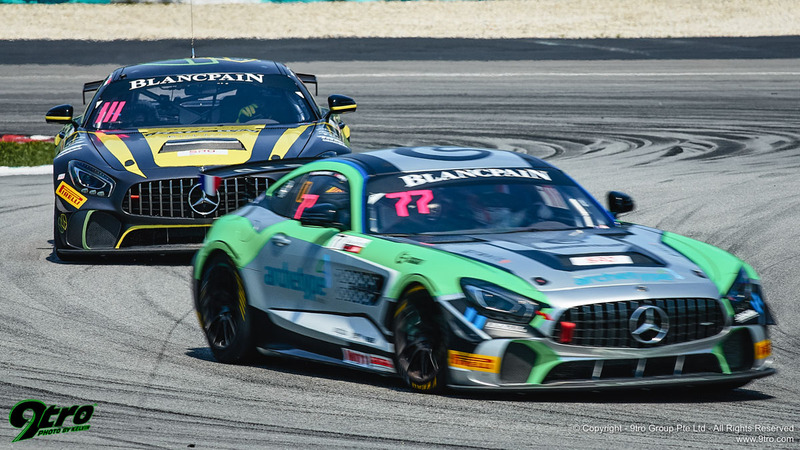 Spotting a gap, Picariello dived to the inside at the Hairpin, which Piana – who was momentarily baulked by a slower GT4 car ahead – was powerless to cover. 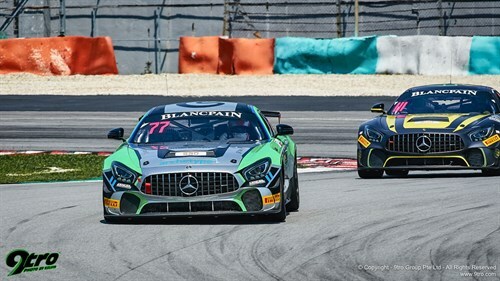 4.6 seconds separated them at the chequered flag. 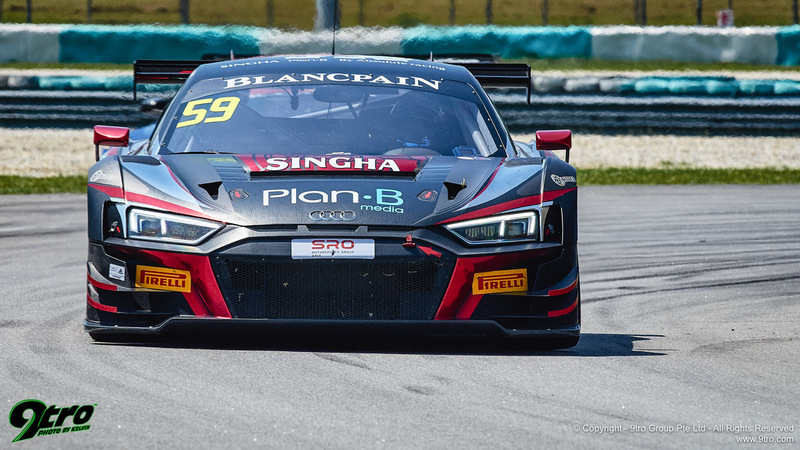 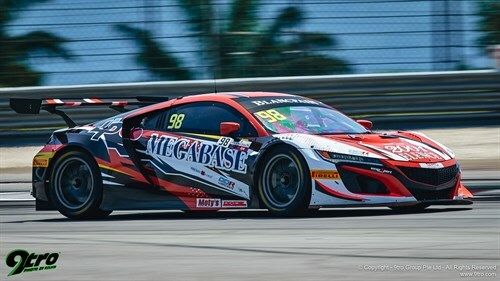 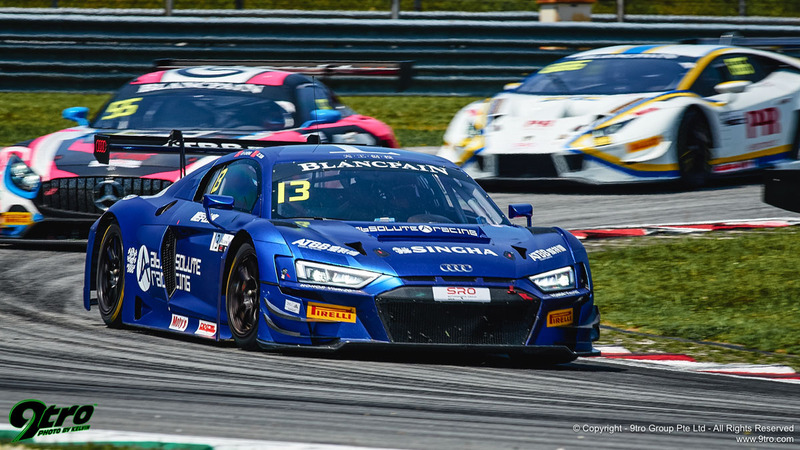 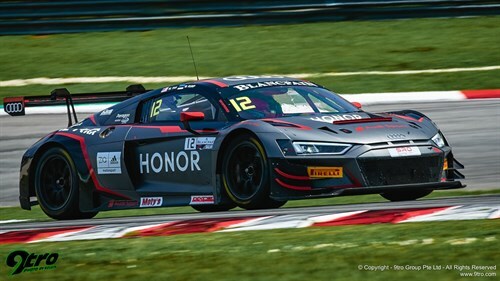 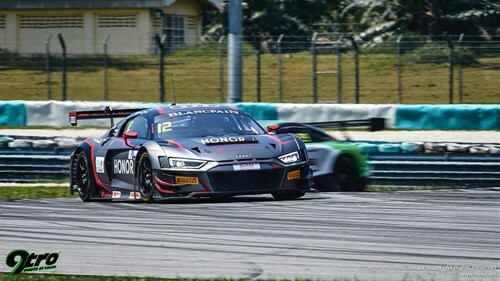 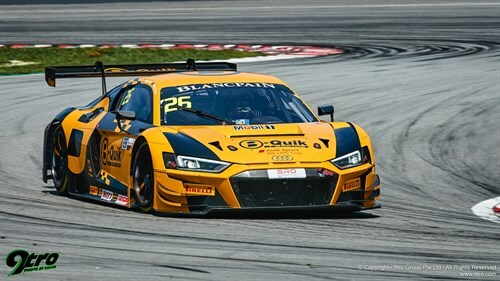 Russell finished another 4.3 seconds behind and comfortably clear of Singha Plan-B by Absolute Racing’s Audi shared by Bhurit Bhirombhakdi and Kantasak Kusiri. 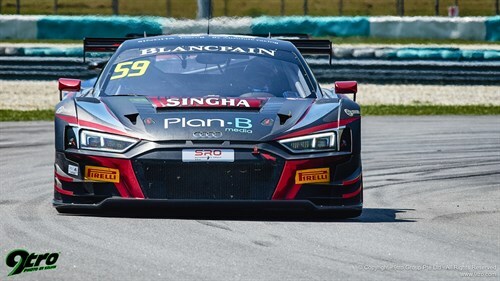 However, that was before 30 seconds was added to the #59 R8’s race time as a result of overtaking behind the Safety Car. 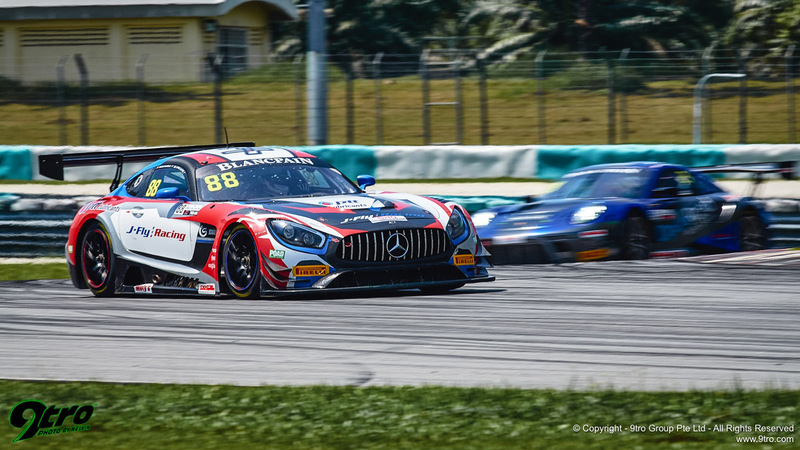 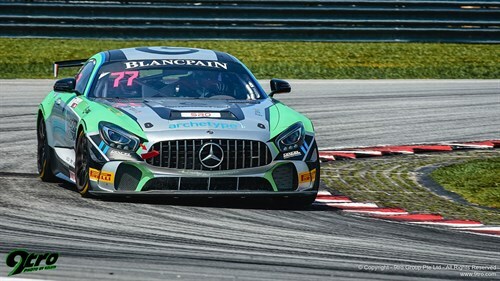 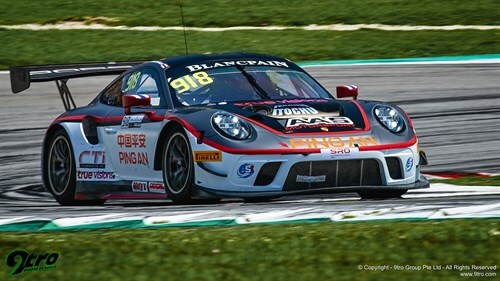 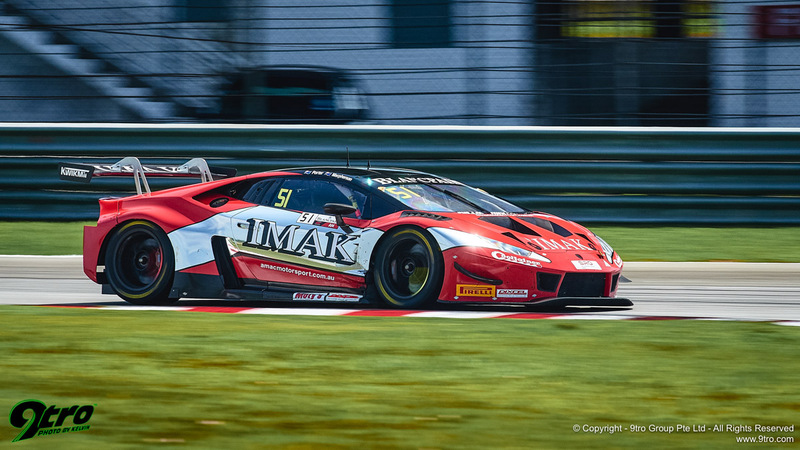 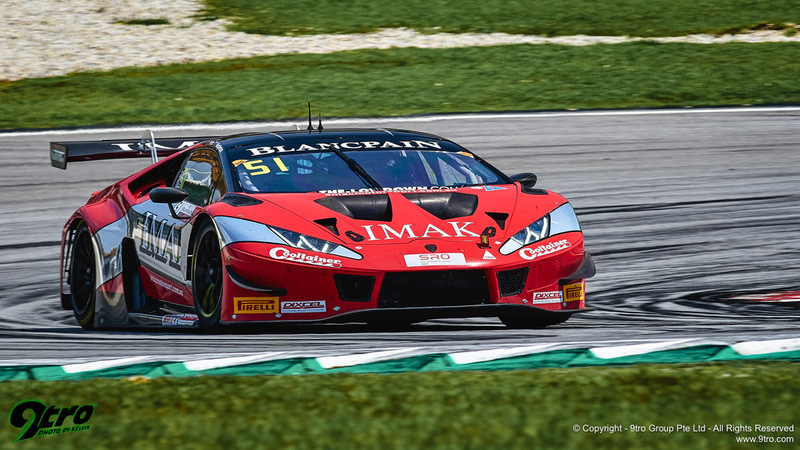 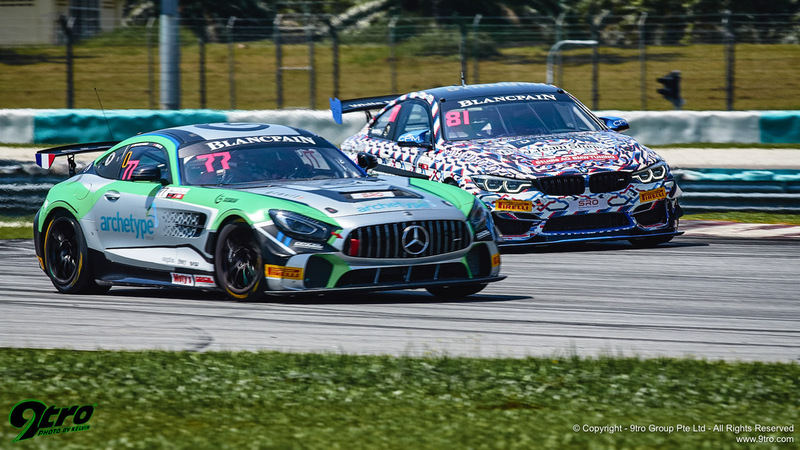 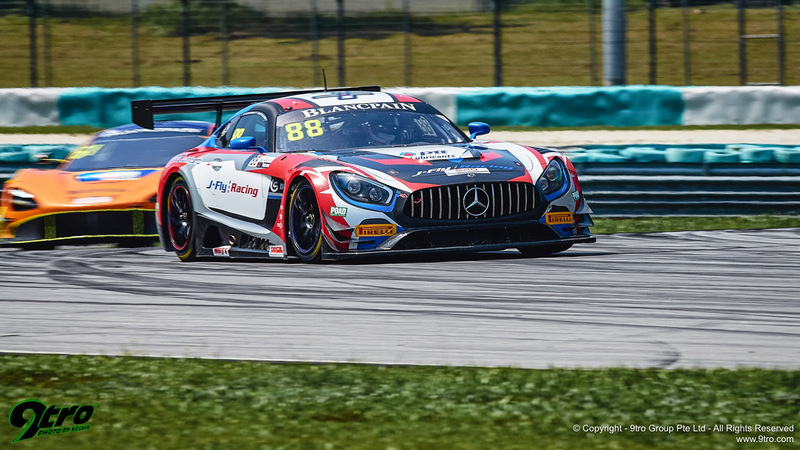 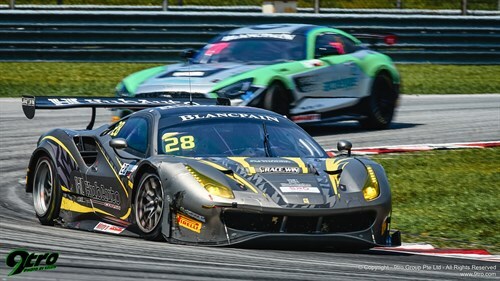 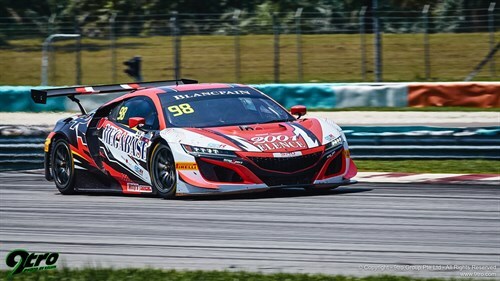 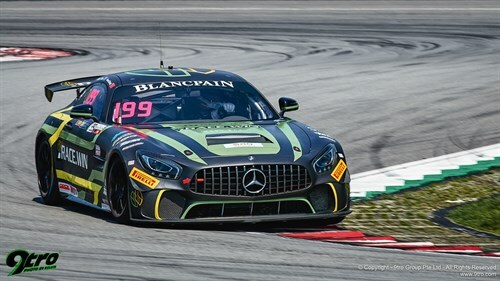 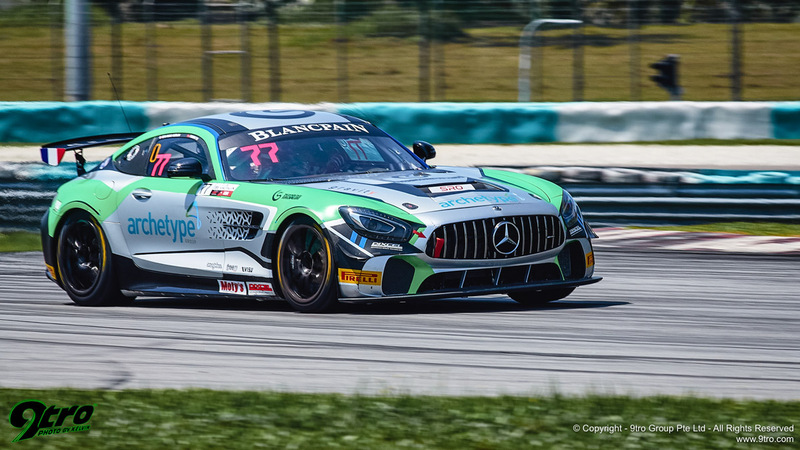 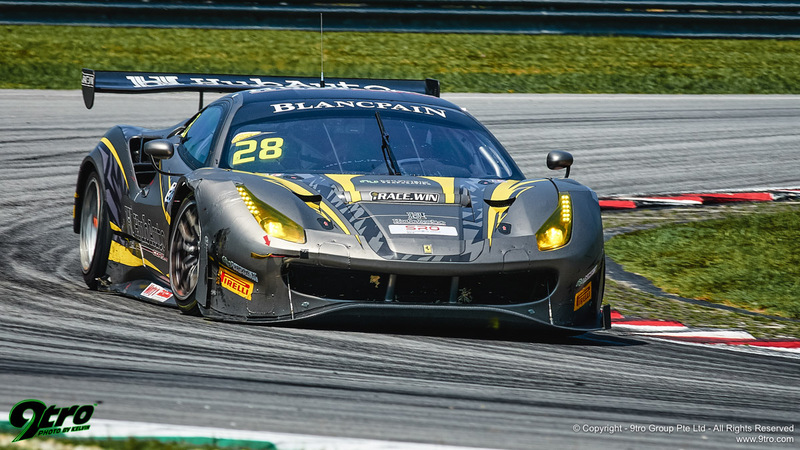 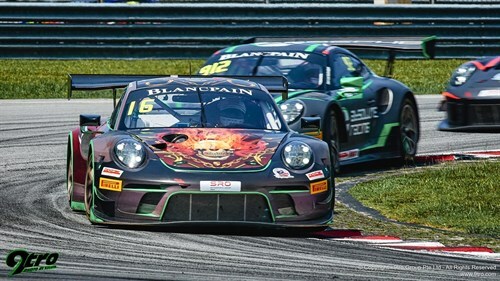 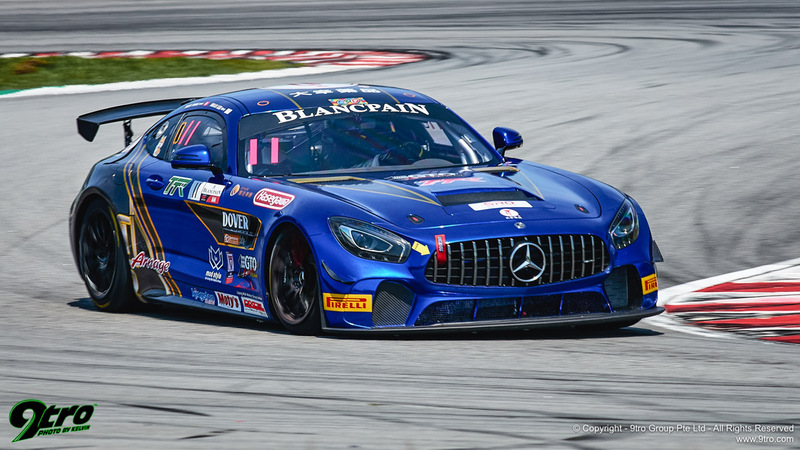 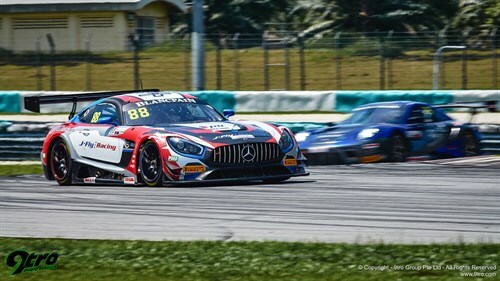 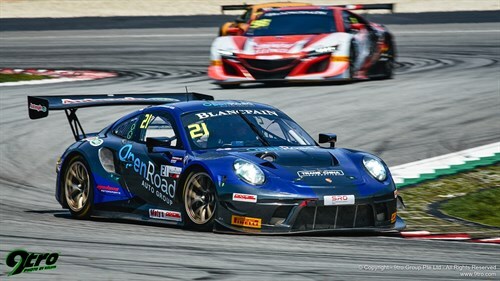 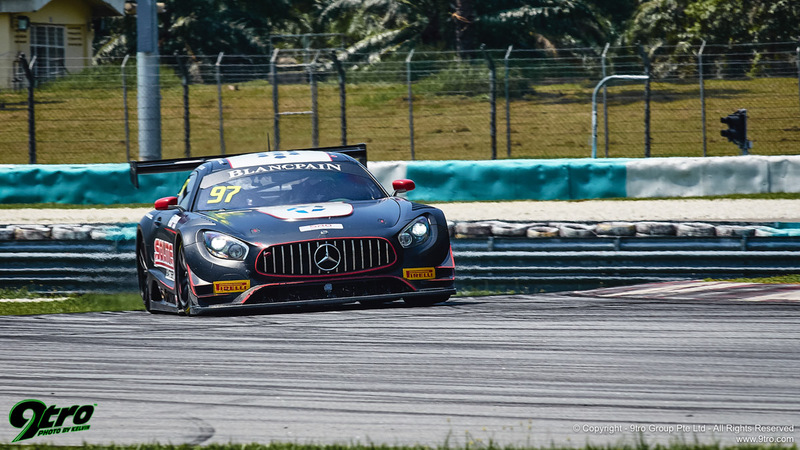 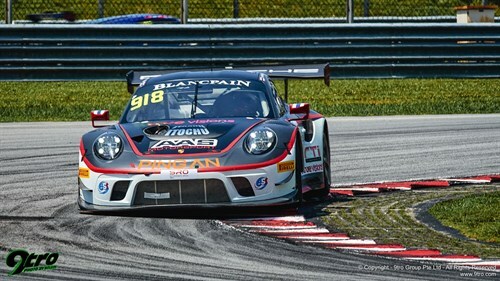 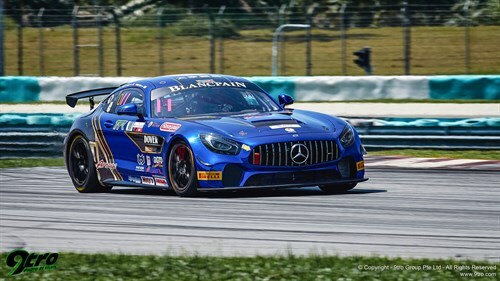 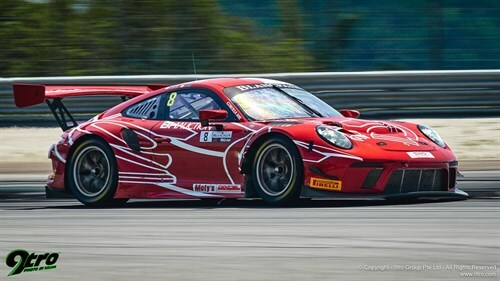 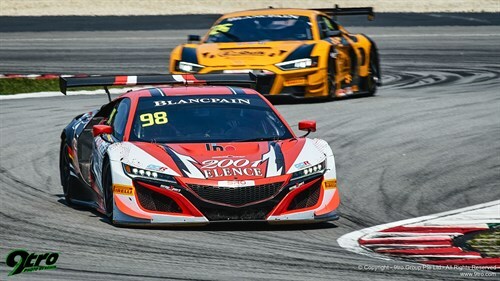 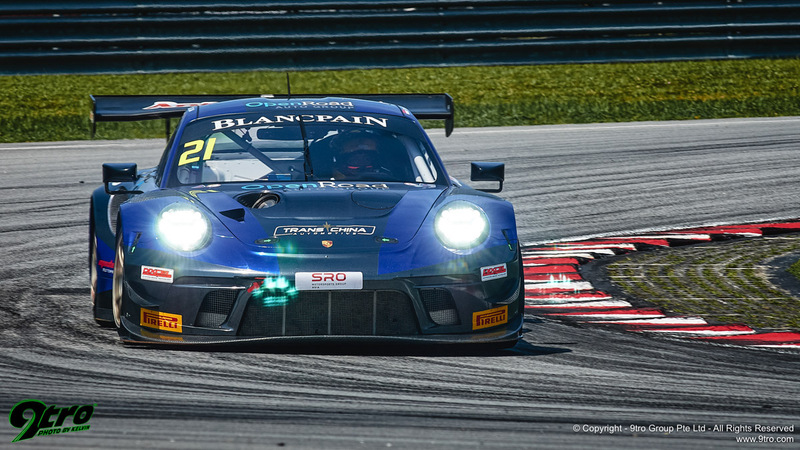 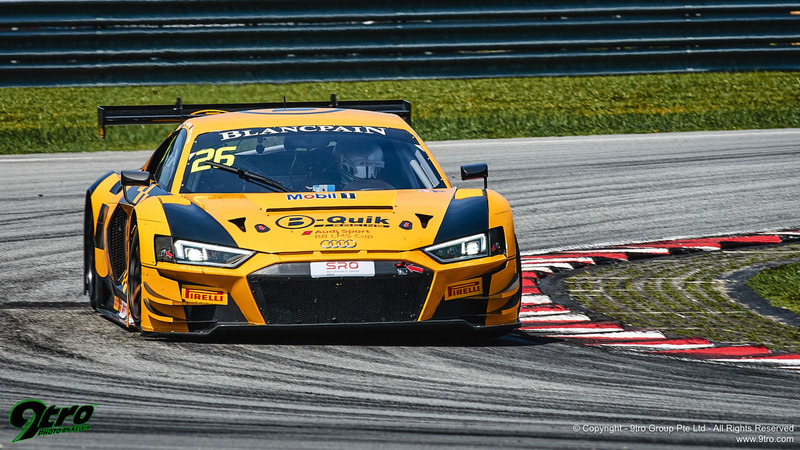 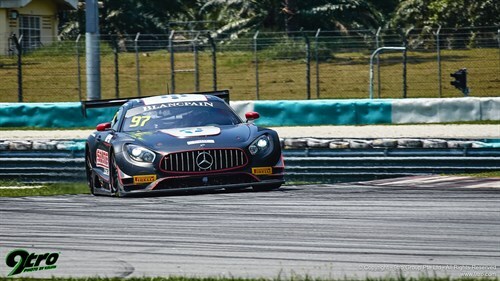 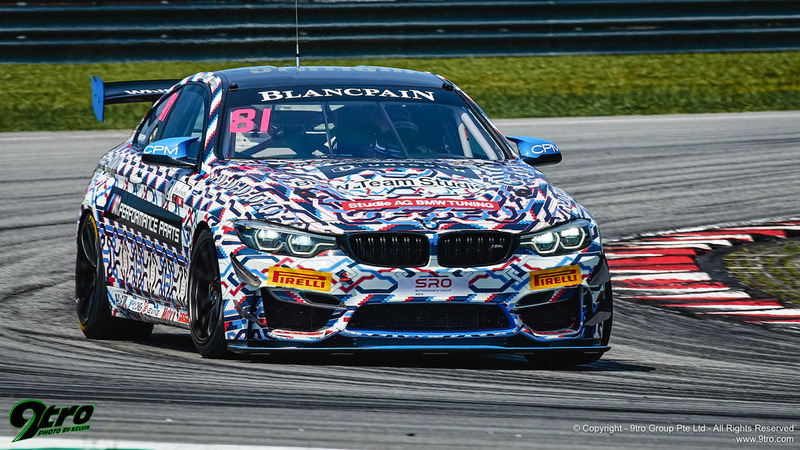 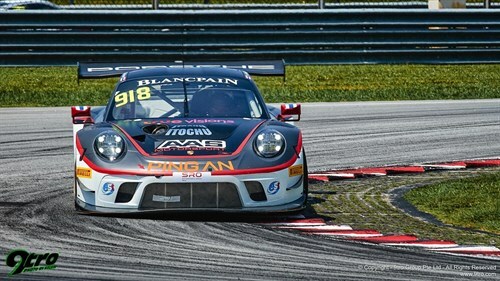 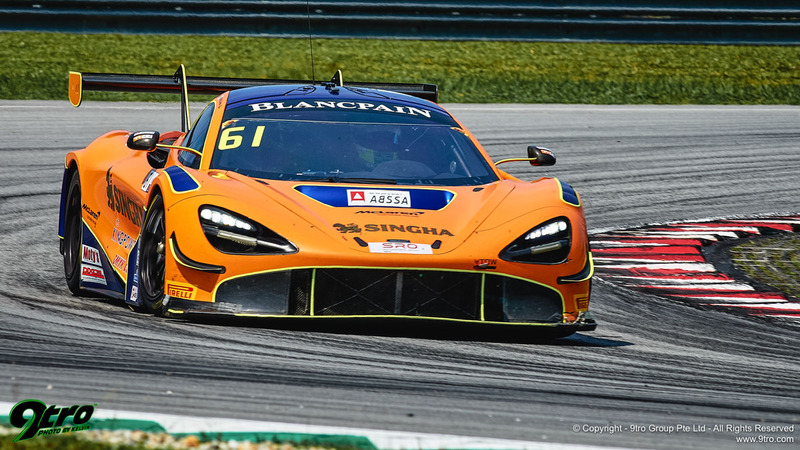 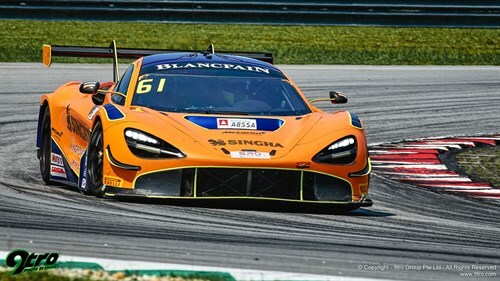 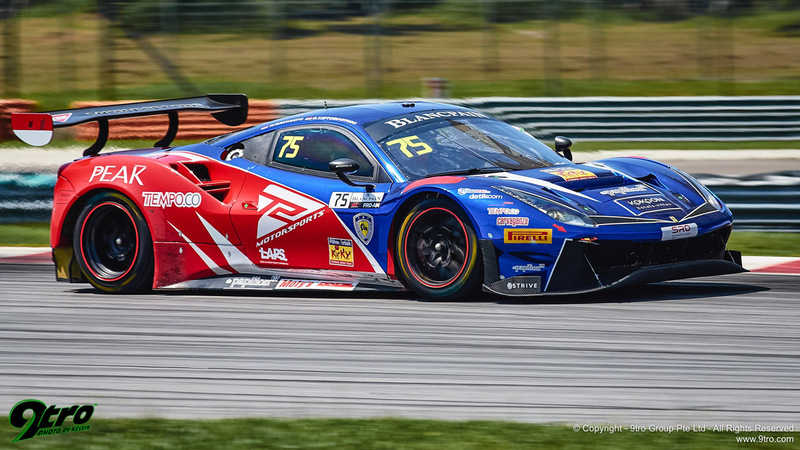 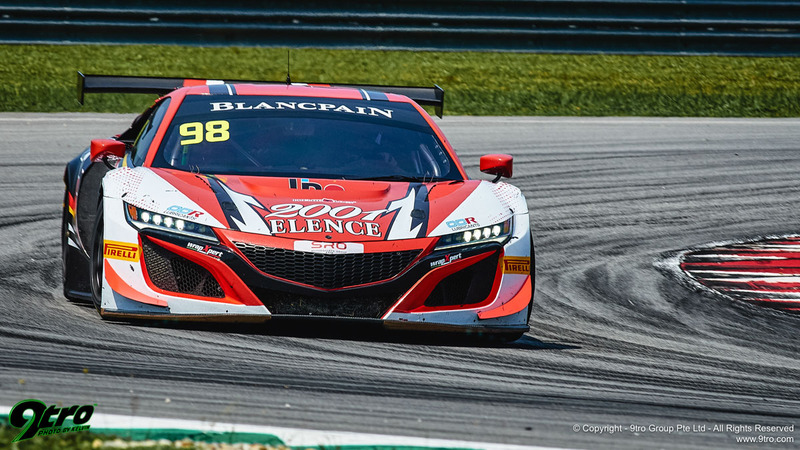 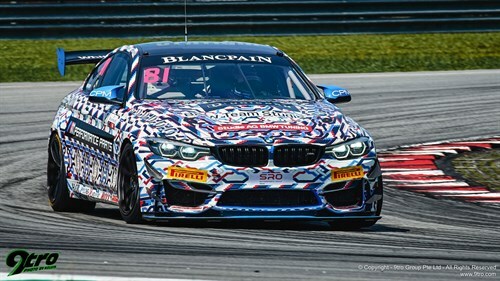 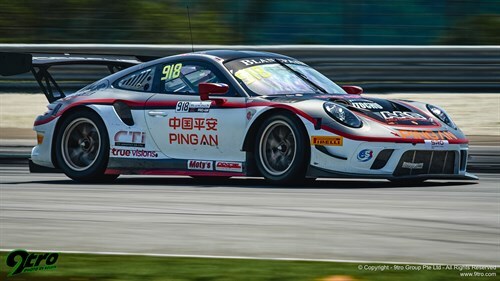 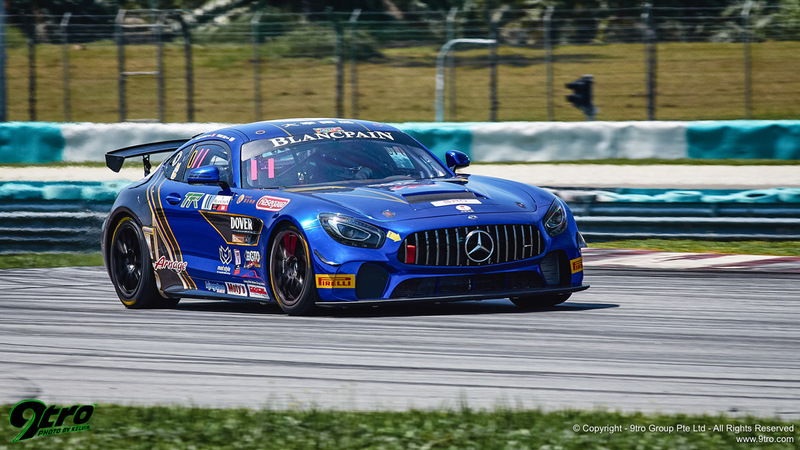 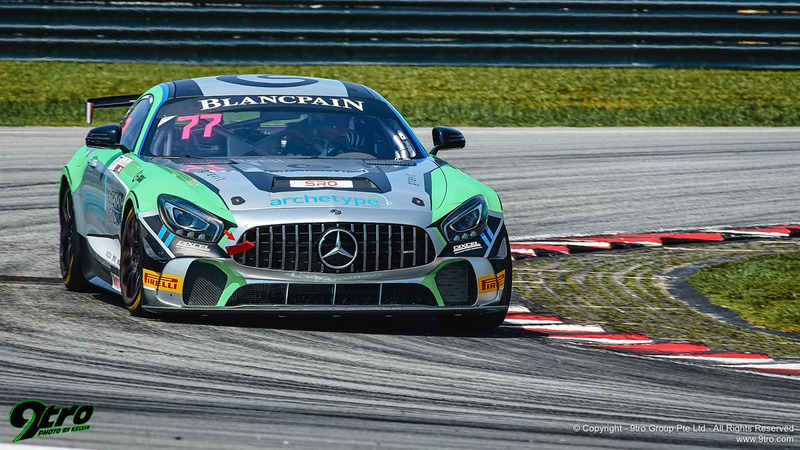 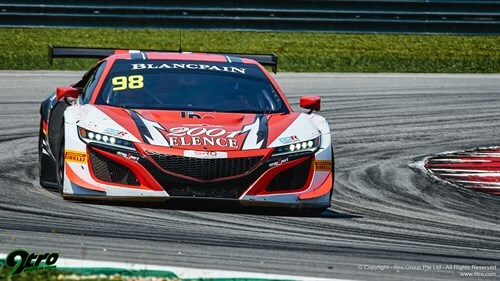 A late pass by Tanart Sathienthirakul helped Absolute Racing and Philip Hamprecht claim victory in Blancpain GT World Challenge Asia’s second race of the weekend at Sepang in Malaysia this morning. 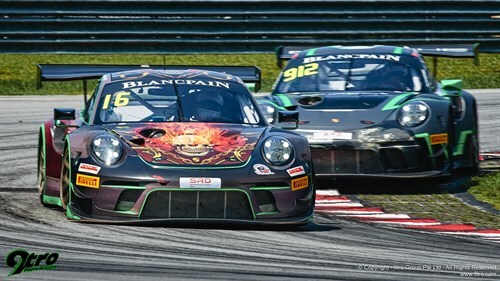 The #911 Porsche took the chequered flag 0.8 second ahead of Pro/Am winners Vutthikorn Inthraphuvasak and Alex Imperatori, whose Panther/AAS Motorsport 911 made it a Porsche one-two, plus Darryl O’Young and Christina Nielsen’s Craft-Bamboo Racing Mercedes-AMG. 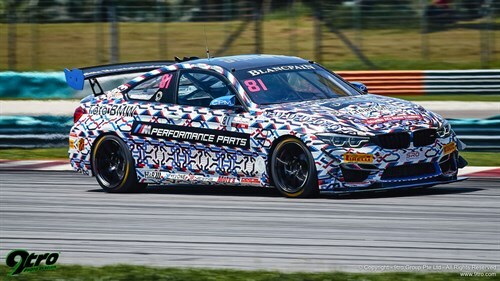 B-Quik Racing’s Daniel Bilski and Henk Kiks won the Am Cup class, while BMW Team Studie’s Sunako Jukuchou and Takayuki Kinoshita completed a perfect weekend by again converting pole position into GT4 victory. 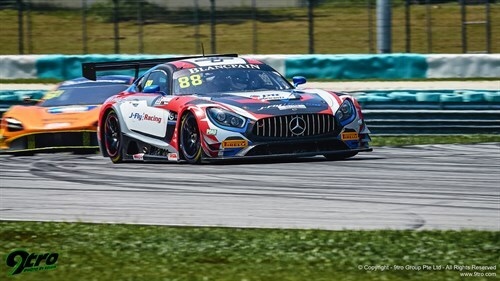 Tellingly, SRO’s new regulations that were designed to encourage greater regional participation resulted in the top-15’s finishing drivers all hailing from Asia, while 41 of the 60 who entered Round 1 were also from the continent. 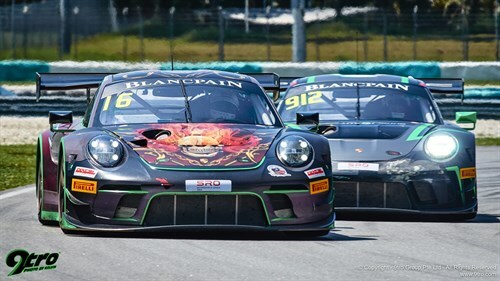 It was a fitting conclusion to a day that began with the King of Malaysia, His Majesty The Yang di-Pertuan Agong XVI Al-Sultan Abdullah Ri’ayatuddin Al-Mustafa Billah Shah Ibni Sultan Haji Ahmad Shah Al-Musta’in Billah, attending his first-ever race at Sepang where his nephew, H.H. 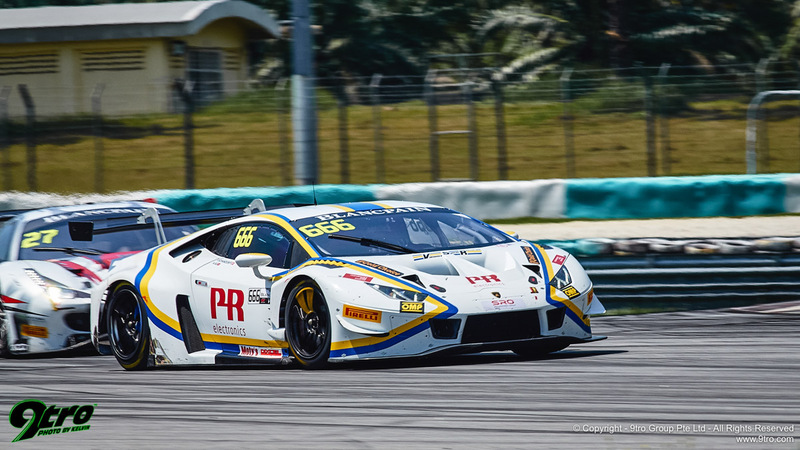 Prince Abdul Rahman Ibrahim, was competing with Triple Eight Racing. A tricky first lap saw pole-sitter Dennis Olsen slip to third behind Imperatori and Modena Motorsports’ Mathias Beche, who circulated together during an opening stint punctuated by a brief Safety Car period. 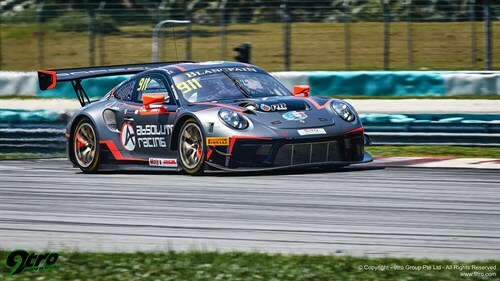 Hamprecht, meanwhile, maintained a watching brief in fourth place before Absolute’s decision to pit earlier than the three Porsches ahead resulted in Sathienthirakul jumping up to second behind Inthraphuvasak once the 10-minute pit window had closed. 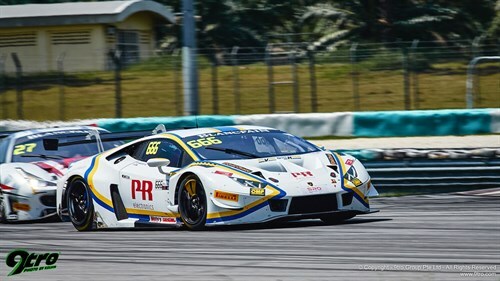 The amateur driver then spent the majority of his stint skilfully rebuffing Sathienthirakul, who quickly closed in on his Thai counterpart, before a late lunge at the final corner with five minutes remaining settled the matter in Absolute’s favour. 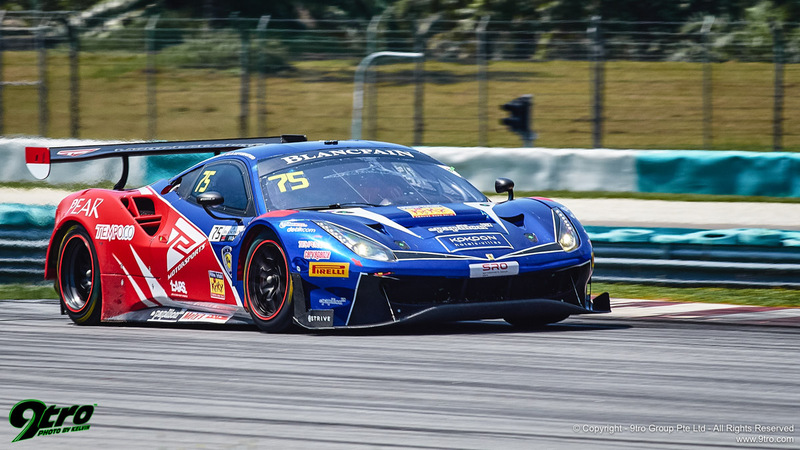 Behind, a combination of stop-go and pitstop success penalties helped Darryl O’Young and Christina Nielsen add a second podium to Craft-Bamboo’s Race 1 victory. The latter pitted from 17th but was close to the front-runners thanks to the preceding Safety Car period, which ended moments before the pit window opened. 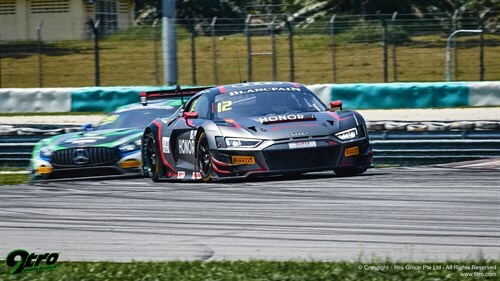 O’Young thus re-joined amongst the Am contingent and was quickly up to fourth before relieving Sun Jingzu’s Audi of the final podium spot. It wasn’t all plane sailing for the Hong Kong driver, who had Weiron Tan for company over the closing laps. 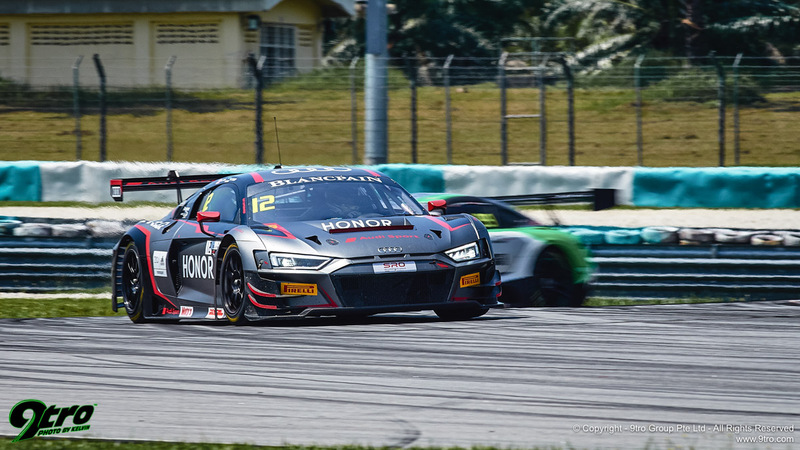 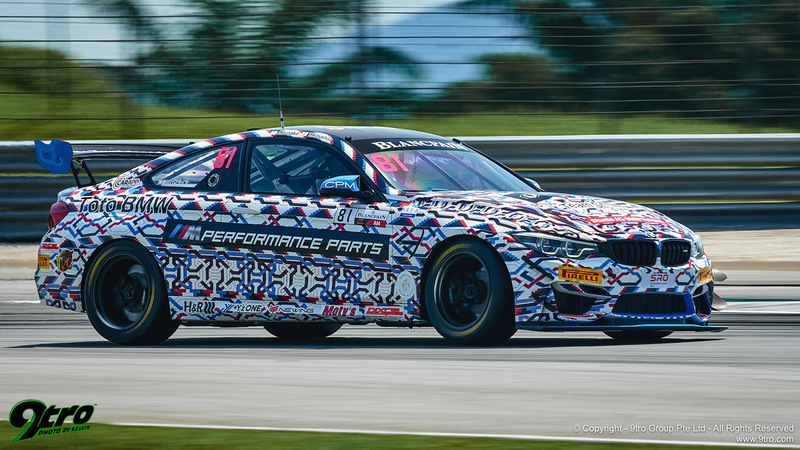 The Malaysian’s Audi Sport Asia Team Absolute Racing co-driver, Martin Rump, started fifth but endured a tricky opening stint before Tan – who, like O’Young, quickly moved through the Am contingent – finished one second behind the Mercedes-AMG. 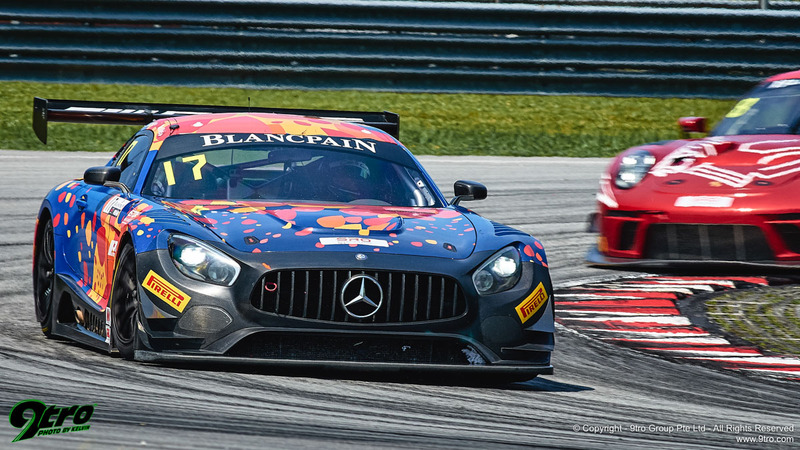 MG Choi and Gabriele Piana came through from 14th to add a fifth place to yesterday’s podium. 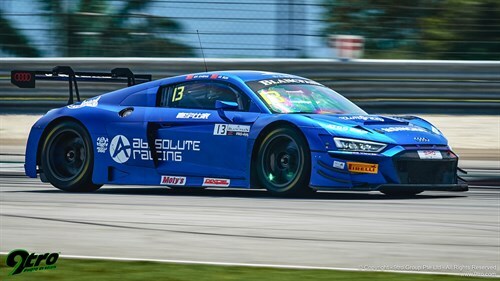 That result was even more impressive considering the Solite Indigo Racing pair served an additional 10 seconds pitstop success penalty for finishing second in Race 1. 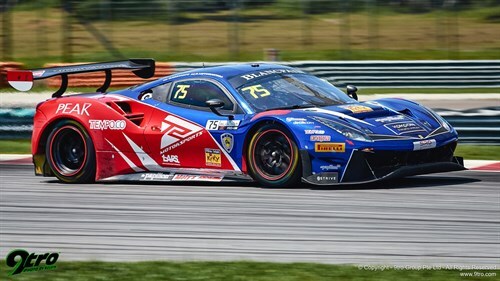 HubAuto Corsa’s Yuya Sakamoto and David Russell also overcame a pitstop handicap to finish sixth while Alex Au and Frederik Schandorff (VSR) joined the Pro/Am podium in seventh overall. 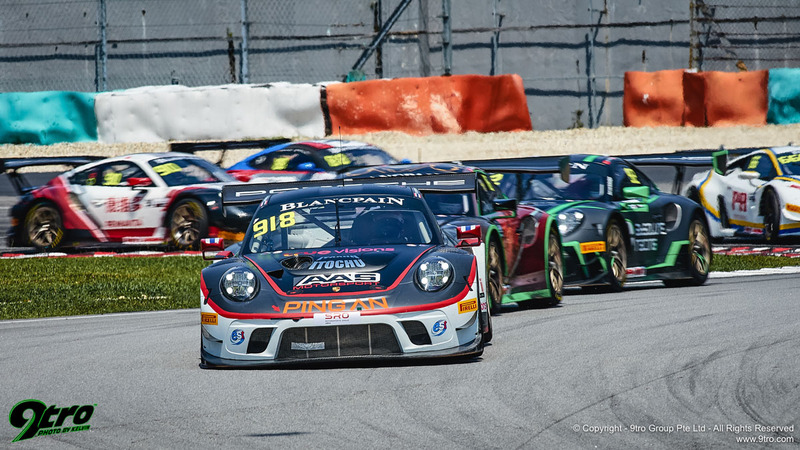 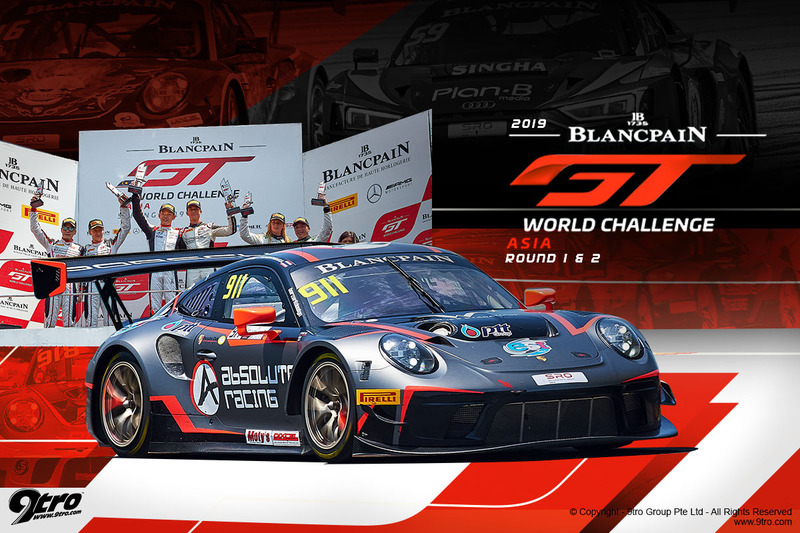 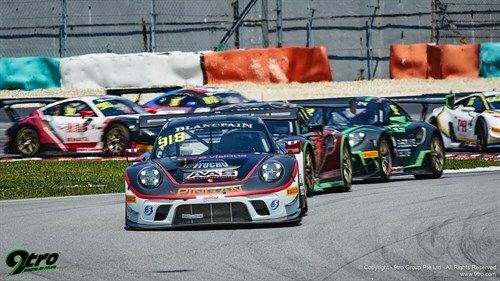 Singha Plan-B by Absolute Racing’s Audi, JRM’s Porsche and Absolute’s #912 Porsche – which dropped down the order as a result of its 35 seconds pitstop penalty – completed the top-10. In GT4, BMW Team Studie’s Sunako Jukuchou and Takayuki Kinoshita made it two wins from two after beating Craft-Bamboo’s Frank Yu and Jean-Marc Merlin by 16 seconds. 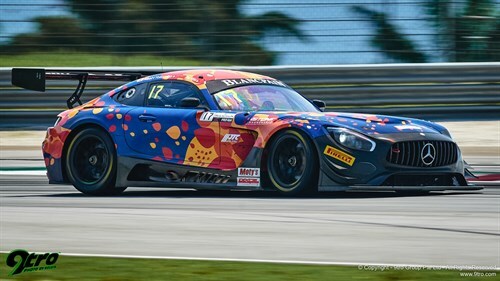 The pre-pit window Safety Car period kept the GT4 contenders bunched before Jukuchou stretched his legs after the stops. 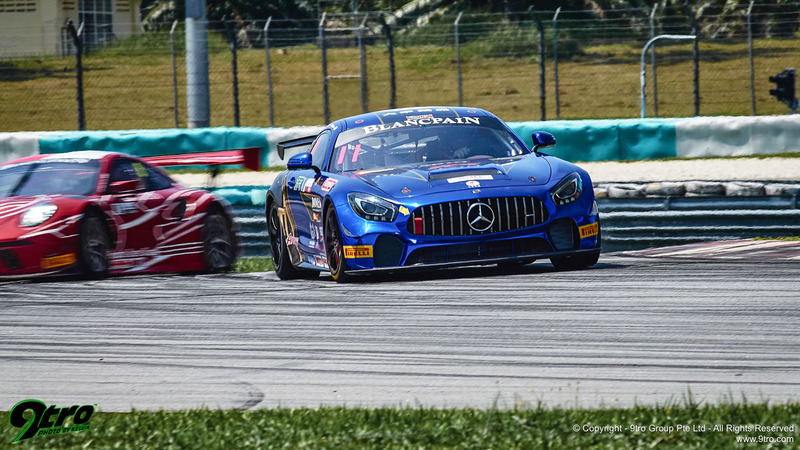 Yu was also preoccupied with Ringo Chong’s iRace.Win Mercedes-AMG, which finished less than two seconds behind. 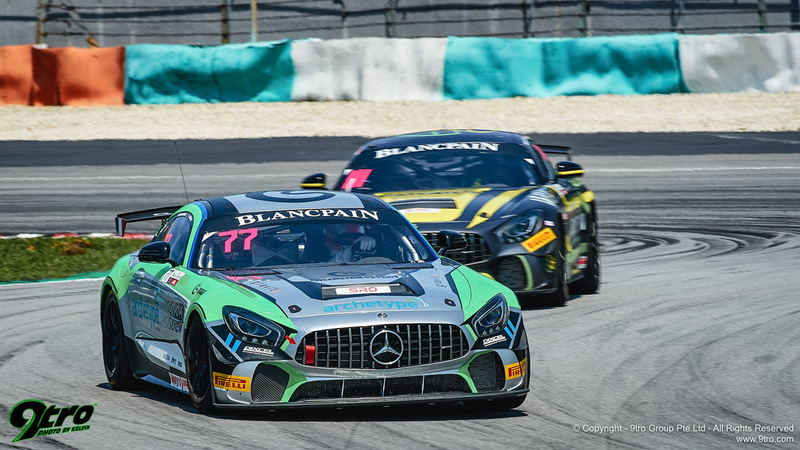 All of that sees Sathienthirakul and Hamprecht head to Thailand with a one-point lead over Choi and Piana, while yesterday’s winners Jeffrey Lee and Alessio Picariello occupy third. Absolute Racing’s Porsche squad leads the Teams’ Championship by nine points from Craft-Bamboo Racing, and Kinoshita/Jukuchou enjoy a 20-point advantage over three crews tied for second in GT4. 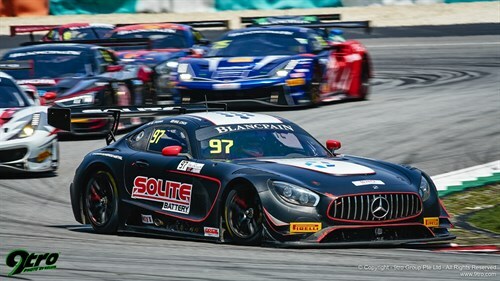 Buriram hosts round two of this season’s Blancpain GT World Challenge Asia campaign on 11/12 May. Championship General Manager Benjamin Franassovici welcomes the King of Malaysia, His Majesty The Yang di-Pertuan Agong XVI Al-Sultan Abdullah Ri’ayatuddin Al-Mustafa Billah Shah Ibni Sultan Haji Ahmad Shah Al-Musta’in Billah.